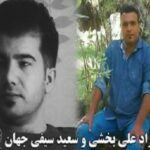 HRANA News Agency – Mohammad Najafi and Ali Bagheri, two of the detainees of the recent protests were transferred to the Central Prison of Arak, after completing the interrogation process. 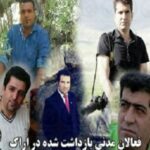 Behzad Ali Bakhshi, another civil activist from Arak, was also transferred to Ward 8, the Health Ward. 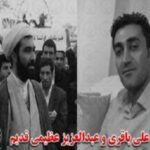 HRANA News Agency – Abdulaziz Azimi Ghadim and Ali Bagheri who had been arrested three weeks ago in Tehran, are being held in Evin prison. 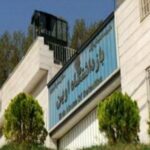 HRANA News Agency – The following list contains the names of 55 political-security prisoners of Evin prison who were arrested and sentenced and imprisoned on charges of “communication with enemy states” or “espionage”. At least 9 of these prisoners are sick and need urgent medical attention. 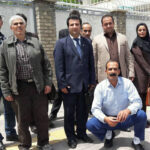 HRANA News Agency – Below is a list of over 70 political prisoners of Evin prison who have been arrested or convicted of charges such as “Collaboration with Enemy States” and “Espionage”.